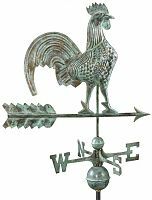 For centuries, wherever people settled, their reliance upon the weathervane has been as basic to them as grinding wheat for bread. 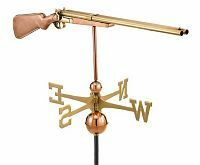 At the end of each day, and with the dawning of the next, people have looked to the sky and studied the direction of their weathervanes. 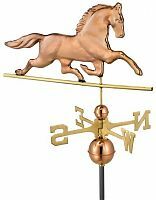 They have plowed and sown, reaped and stored, worked and played, trusting the good directions of the wind that drove their fate. 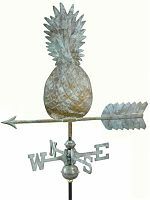 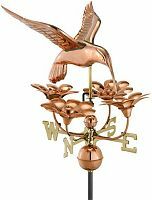 Over time, weathervanes became coveted works of decorative art, admired as much for their craftsmanship as for their practicality. 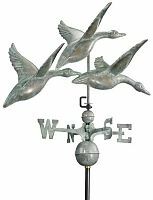 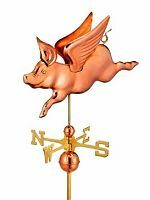 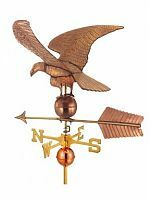 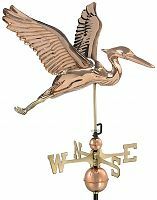 That long tradition of beauty and practicality is reflected in the weathervanes we offer. 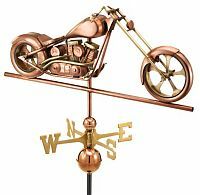 May favorable winds forever blow your way.